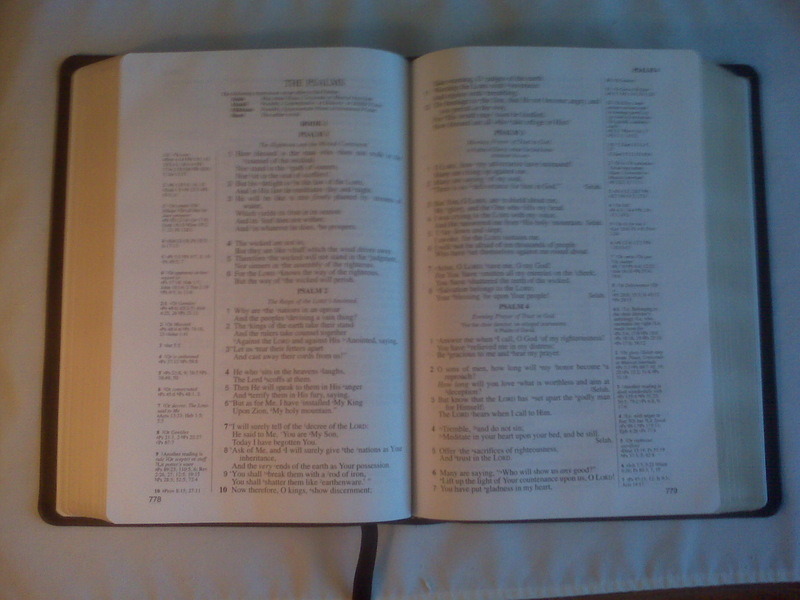 I have been waiting for some time to purchase a new bible, and had settled on Crossway’s ESV Single Column Reference Wide-Margin edition in calfskin leather. This Bible runs about $130.00 at a really good discount online, so I have been waiting for some time to buy it. A couple of weeks ago I decided it was time, and I would make an early birthday present to myself. I went online, and as I entered my order I began to feel minor discomfort about continuing with the purchase. So I did what I typically do, and that is start talking myself into why I should buy this now and not wait. However, as I got to the final checkout screen I stopped and felt the Lord say it’s not time, wait. I backed the item out of shopping cart and decided to wait. Last week I had was running around town with someone, and they wanted to go to Lifeway Christian Stores for a CD. I like to look at everything so when I went over to the Bible section I happened to find a bible sitting out without the box. It was almost exactly like the ESV bible I was going to order, but it was an NASB Single Column Wide-Margin in genuine leather. It was brand new, and retails for about $125.00. I know the store does not normally have these out on the shelf but it had a price tag on the back for $49.99. Out of curiosity I asked about additional discounts and the employee said there were not anymore, but found me a 25% off coupon someone had left at the store. I ended up buying the bible for $38.00. I was truly blessed! By the way I happened to look online, and the bible I was going to purchase has been back-ordered and won’t be available until the end of June so it is a good thing overall that I waited. This was a lesson in patience for me, and how I need to avoid impulse decisions and purchases like I have made in the past. Also, I need to avoid debating with myself when God is trying to lead me to do something. 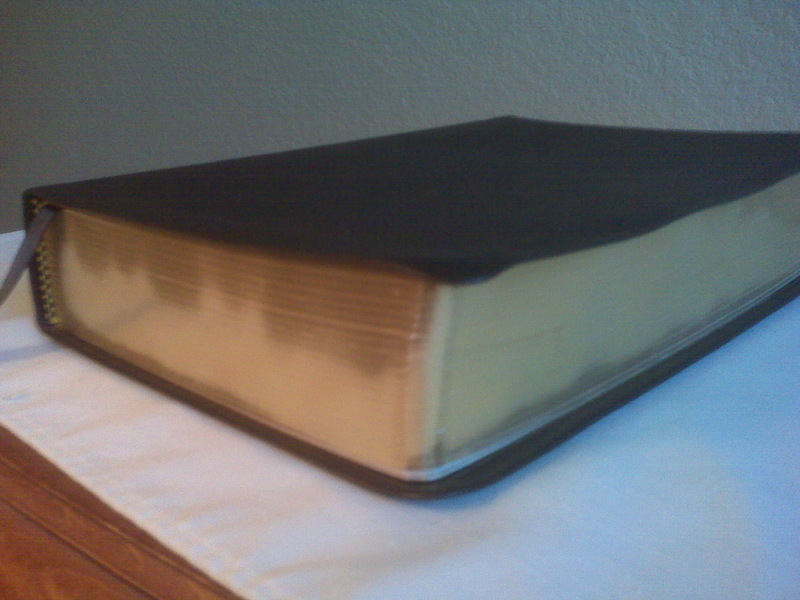 Here are pictures of my new bible. I am looking forward to the study and deeper learning of God’s Word I will have with my new gift. A gift not from myself, but from God. 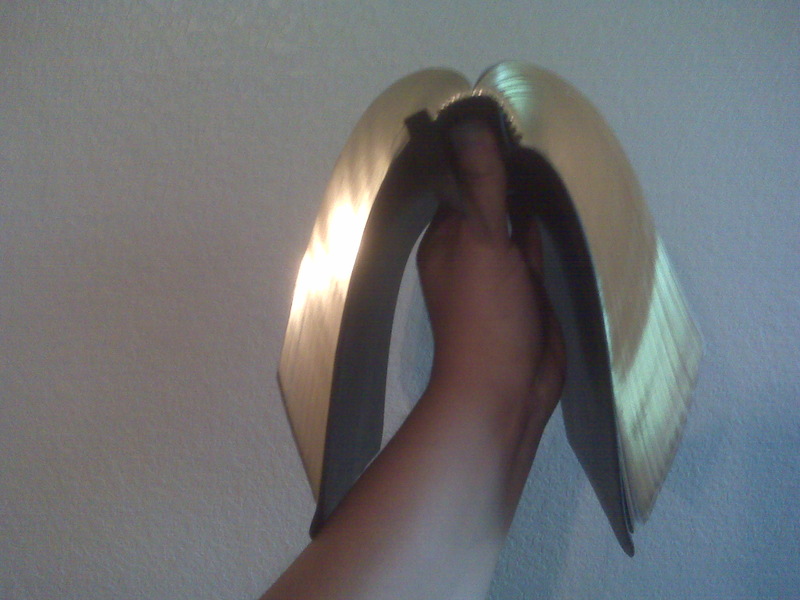 I need a better camera, but that will come in due time. This entry was tagged bibles, blessings, ESV, NASB, patience, wide-margin. Bookmark the permalink. 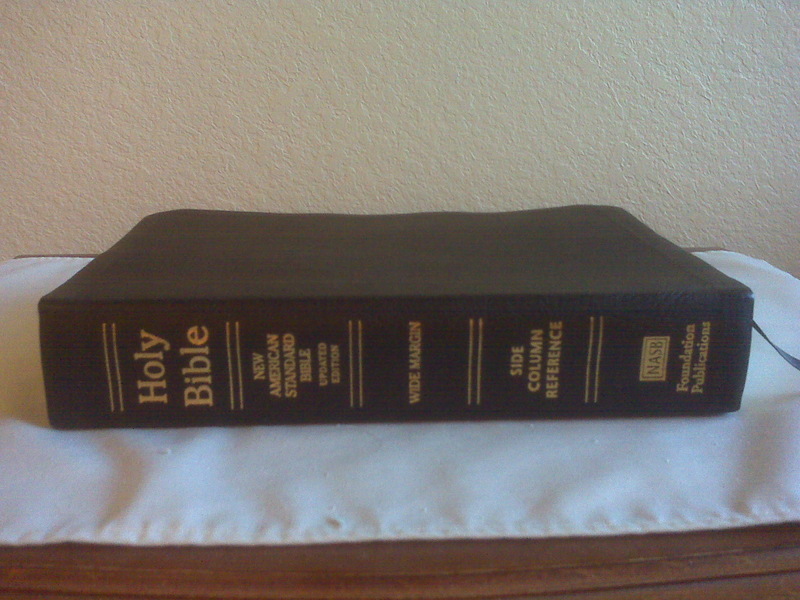 I also happen to have a wide margin NASB in calfskin. It’s slightly different from yours, but I also got it for a great price at $40 on an Amazon discounter. I actually studied some ways of Bible note-taking, and I would recommend Pigma Micron pens for writing in it. God bless. Thanks for the comment! Yeah, I was hoping for calfskin but I am grateful. Thanks for the tip on Pigma Micron pens for notes.